Aviation Updates Philippines - Philippine Airlines (PAL) is implementing changes in the schedule of some domestic flights beginning today as the carrier prepares to operate flights out of the Clark International Airport in Pampanga in support of government efforts to ease congestion at the Ninoy Aquino International Airport (NAIA). The flag carrier said in a statement yesterday that it cancelled 29 domestic flights as a result of the changes in flight schedules. Affected flights cover the following routes: Manila to Caticlan, Caticlan to Manila, Manila to Cebu, Cebu to Manila, Manila to Calbayog, Calbayog to Manila, Manila to Kalibo, Kalibo to Manila, Manila to Laoag, Laoag to Manila, Manila to Legaspi, Legaspi to Manila, Manila to Tablas, Tablas to Manila, Manila to Tuguegarao, Tuguegarao to Manila. “These moves are being carried out in support of the government’s thrust to decongest NAIA,” PAL said. 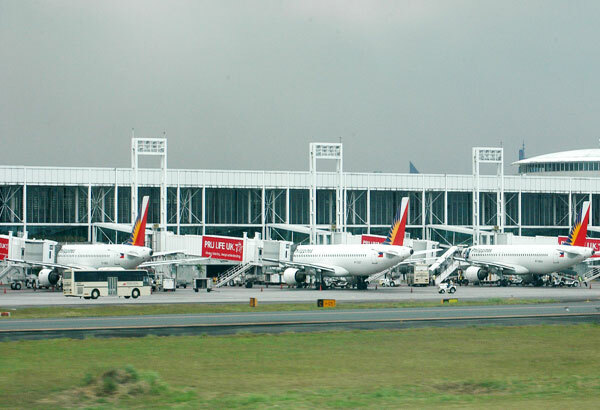 The government wants to promote Clark due to the overconcentration of flights in the Manila airport. At present, 87 percent of all PAL traffic are serviced in Manila. Last year, the NAIA served over 36 million passengers, higher than the airport’s annual maximum capacity of 35 million passengers. For the flag carrier to operate in Clark, PAL president and chief operating officer Jaime Bautista said earlier there is a need to put additional facilities such as re-fuelling stations, bus services, as well as catering in the airport to provide travelers better services. “I think as we coordinate with them (government), when they know there will be more flights there (Clark), they will set up also the right infrastructure,” he said. PAL said it would notify passengers of affected flights of their new flight schedules. It will likewise waive rebooking, change and refund fees or charges of the affected flights. Passengers of the affected flights may opt to rebook within 30 days from their original flight date or within the ticket validity period by calling the PAL hotline (02) 855-8888 or the visiting the nearest PAL ticketing office.